PremaLox Boron carbide (B4C) with a Mohs hardness of 9.5 is second only to cubic boron nitride (cBN) in hardness and so makes an excellent lower cost alternative abrasive to cBN and diamond. 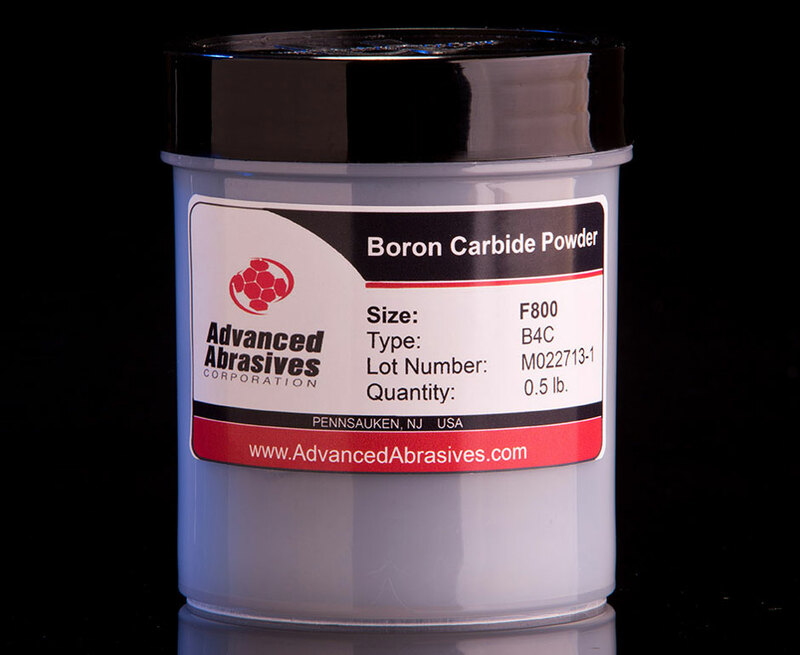 Also, boron carbide is excellent for absorbing neutron radiation without forming long lived radionuclides and so is often used for radiation shielding and control rods. The closely controlled grading and particle shape of our PremaLox boron carbide powder provides high cutting rates and uniform finishes. Available as a powder or as an abrasive compound in a choice of water based or grease based carriers in multiple abrasive grit sizes from F10/30 to F1500 and in various quantity sizes. Abrasive applications: Precision lapping and polishing of most materials.